New York: John Wiley & Sons, 2008. First edition of this important collection of essays by the father of the capital asset pricing model. Octavo, original cloth. Signed by Jack L. Treynor on the front free endpaper. Fine in a fine dust jacket. Foreword by Jeff Diermeier. 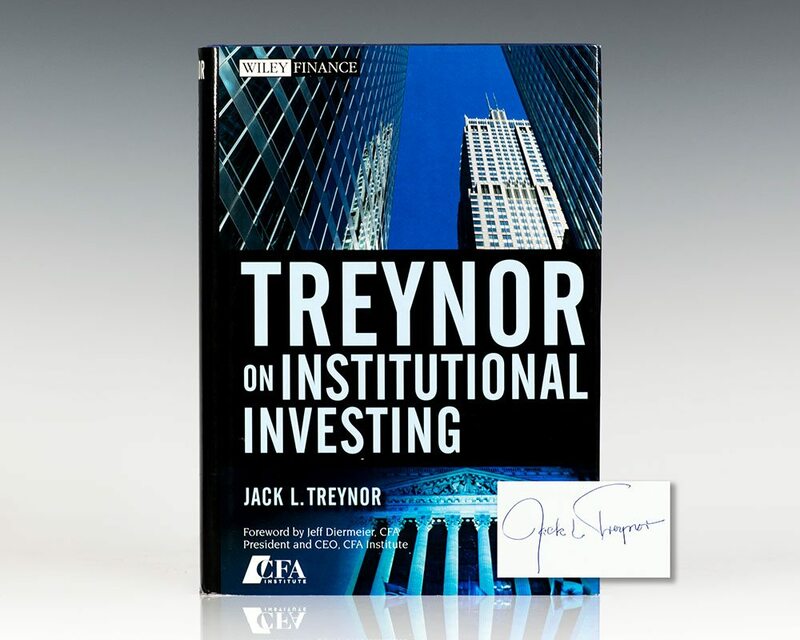 Comprised of more than ninety provocative articles—many of which were originally published in well-respected industry resources such as the CFA Institute Financial Analysts Journal and the Harvard Business Review—Treynor on Institutional Investing clearly captures the many ways in which this man has influenced the professional investment community over a period of decades. From his seminal presentation of the Capital Asset Pricing Model in 1962 and papers introducing modern performance measurement to his revolutionary ideas on inflation, Treynor on Institutional Investing distills the hard-won investment insights of one of the most independent minds ever to tackle the investment problem. Along the way, this comprehensive anthology also introduces you to some of Treynor's more controversial proposals, such as issues regarding stock valuation and trading strategy, and presents challenging case studies that address critical events in today's investment environment.